Two years after the COP21 summit and following the United States’ withdrawal from the Paris agreement, concerns are growing. The One Planet Summit aims to put the imperative of combating climate change back on the world stage by considering essential fundings for the ecological transition. What about the promised amounts? Are they up to the challenges? 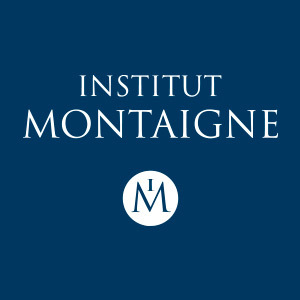 Benjamin Fremaux, Senior Fellow to Institut Montaigne, explains why we need to go further. The Paris Agreement endorsed the principle of devoting $100 billion each year from 2020 onwards to finance climate change adjustment projects. Do these funds seem sufficient to accelerate the decarbonisation of the economy on a global scale? In Copenhagen in 2009, developed countries committed to allotting $100 billion each year from 2020 onwards to help developing countries fight climate change, first, by reducing their greenhouse gas emissions (mitigation) and second, by decreasing their vulnerability to the consequences of climate change (adaptation). Let's put the figure of $100 billion in context. Global GDP is about $80 trillion. Divide it in half, and you get the GDP of developed countries. This means that by 2020, the most developed countries will only have to contribute a quarter percent of their wealth to less developed countries in their fight against climate change. According to The Lancet Countdown on Health and Climate Change, economic losses due to extreme weather events last year nearly reached $130 billion. If we take the German example, the cost of “Energiewende” (name given to the country’s energy transition program), which aims at the shutdown of nuclear power production in 2022 and at a 100% renewable electricity in 2050, represents €25 billion per year. These estimates put the figure of $100 billion promised by the "developed countries" into perspective, even if it only represents a first step and is meant to be raised over time. What do you think can help accelerate this low-cost transition? The answer largely depends on the geographical area and its level of development. Globally, primary energy consumption is dominated by 85% by fossil fuels: oil (33%), coal (28%) and natural gas (24%). But if we look more closely, a country like China still relies heavily on coal for its electricity production. Even though France’s electricity mix is very low in carbon thanks to nuclear energy and, to a lesser extent, hydroelectricity, its energy mix is ​​still dependent by 30% on oil, particularly in the transport sector, and by 14% on gas, which is crucial to the buildings heating sector. China is seeking to focus its means on its electricity mix (with the development of renewable energy and nuclear power), while France should increase its efforts in the transport sector (clean vehicles, public transport) and energy efficiency (thermal insulation of residential or tertiary buildings). Approaches should vary according to levels of development. As public finances are still constrained, it is essential that States have a global vision of their strategy in the fight against climate change and that they assess, for each contemplated action, the cost of each ton of avoided CO2 to taxpayers. Logically, we should start with the cheapest public policies. Unfortunately, in France, as in other countries, politics is more guided by short-term considerations than by a real concern for the climate policy’s long-term efficiency. Carbon pricing is now a unanimous measure among economists and politicians. What do you think are the main obstacles to its effective application? Which first steps should be taken? Two main tools are used to set a price for carbon: (i) emission quota markets and (ii) CO2-related taxes. Ten years ago, countries of the European Union implemented the largest international trading market of emission quotas. It only concerns the industry sector, which is a major source of greenhouse gas. This system has been much criticized because of the VAT fraud it allowed for in the early 2010s, and more recently because the CO2 price which it gave rise to was deemed too low (the price per ton of CO2 in this market is below 8 euros). This is due to the excessive number of allowances allocated to some industrialists for free. European countries have corrected these “errors of youth”, and the new 2021-2030 period of quota trading should be much more incentivising. Taxes on CO2 concern diffuse emissions. These are excise taxes on fossil fuels. This type of tax is not new: an internal oil tax was introduced in our country in 1928. Nevertheless, the environmental use of these taxes is much more recent. In France, the domestic consumption tax on energy products (TICPE) includes a carbon component ever since 2014. Unlike a quota market that defines quantity ex ante and that lets the market set the price, the tax defines the price ex ante. As with social dumping, environmental dumping is a reality. To address it, current debates focus on the expansion of tax or market systems at a global level. Indeed, a tax or quota system undermines the competitiveness of targeted countries. For companies able to relocate their production, this leads to a carbon and jobs leakage towards less demanding countries. The theoretical solution to this issue would be to implement a carbon tax at borders, which would also tax the imports’ carbon content. Multilateral organisations such as the United Nations Conference of the Parties (COP) have a duty to try to convince as many countries as possible to raise their environmental standards. But the implementation modalities of such a border tax and its legality regarding rules of international trade have as of yet never been settled.